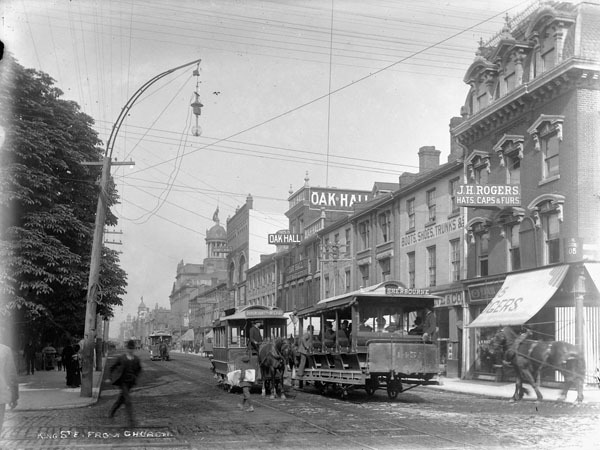 The south side of King Street from Church at the turn of the century. 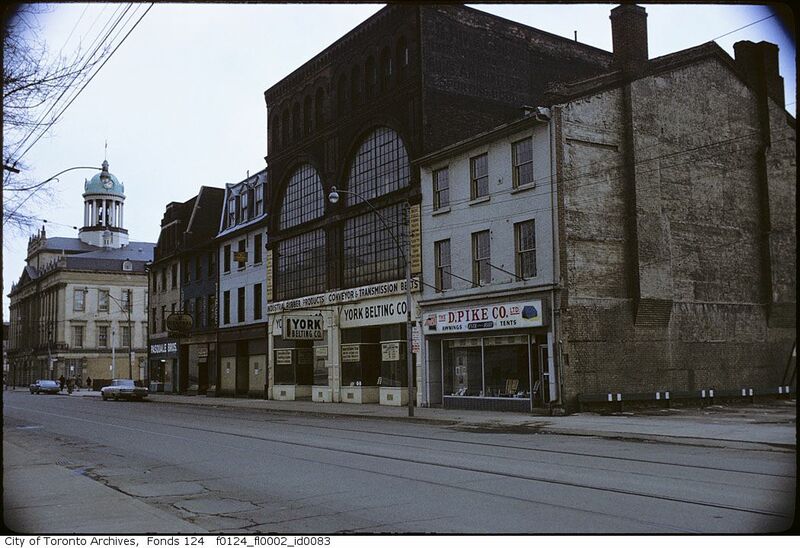 Back in the late 1960’s when this was taken, King and Church was somewhat rundown and quite dreary. This had once been the main shopping street in the city and quite fancy. 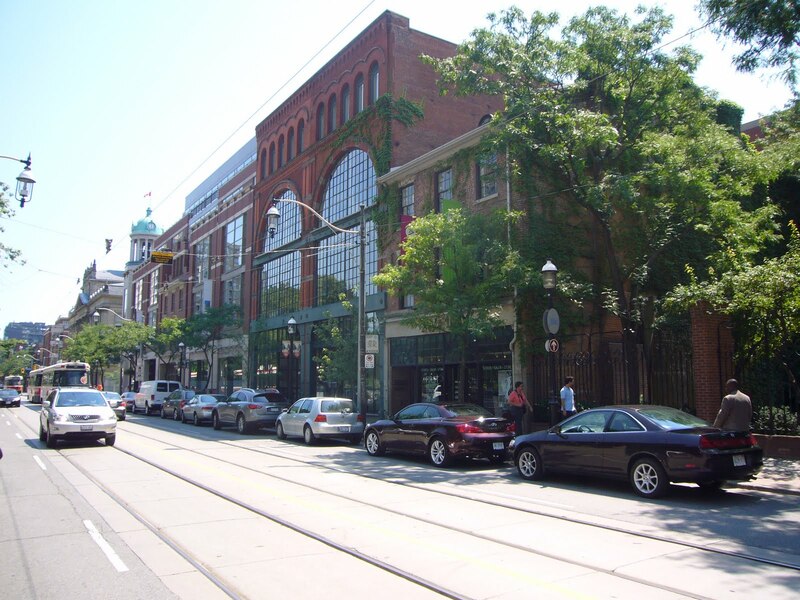 Pasquale Brothers (seen here) later moved to 217 King Street and then to Etobicoke. D. Pike Company is still in business as Pike’s Awnings and now located in Woodbridge. 40 years later it’s been revitalized.